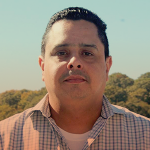 Felix Matos is the director of the COMPASS Program at PS 366. Mr. Matos has over twenty years in child care and youth services experience. Before assuming his current position with ICS , he served in various capacities, including After School Program Director with the Children’s Aid Society. Mr. Matos is extremely knowledgeable of NYS School Age Childhood Certification (SACC) requirements, as well as the recent focus of STEM (Science, Technology, Engineering, & Mathematics) in after school programming.